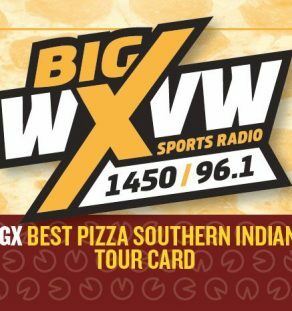 View cart “Best Pizza Southern Indiana Tour Card” has been added to your cart. 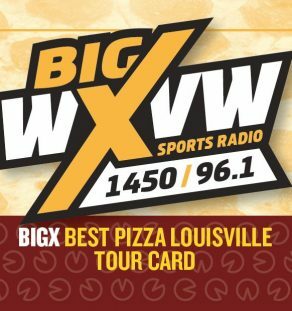 This item includes both (Kentucky & Indiana) Big X Sports Radio golf cards. 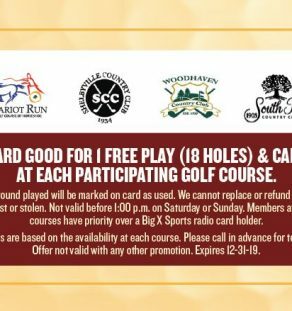 Card good for 1 free play (18 holes) & cart at Chariot Run, Shelby County Country Club, South Park Country Club, Woodhaven Country Club. 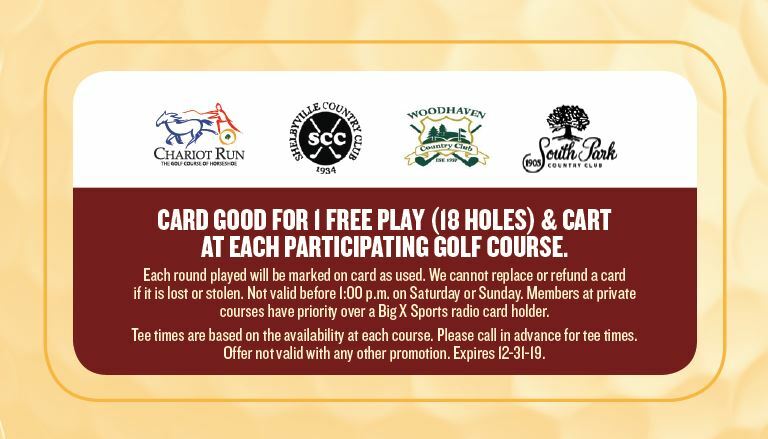 Each round played will be marked on card as used. We cannot replace or refund a card if it is lost or stolen. 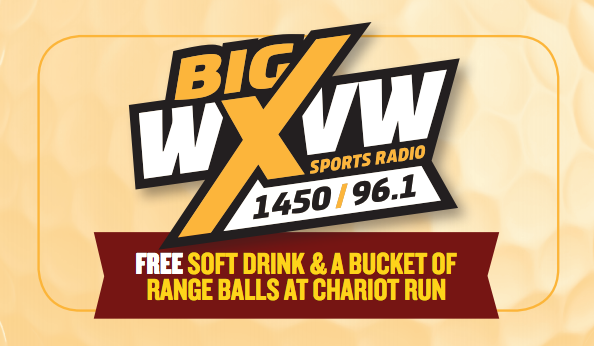 Not valid before 1:00 p.m. on Saturday or Sunday. 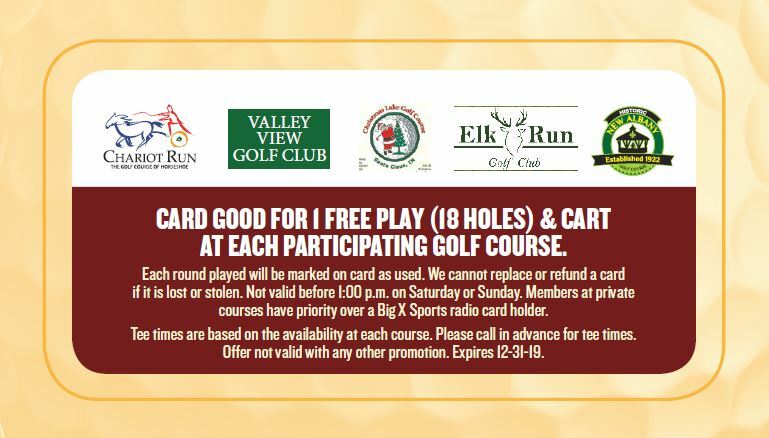 Members at private courses have priority over a Big X card holder. Tee times are based on the availability at each course. 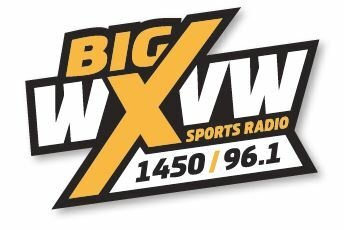 Please call in advance for tee times. Offer not valid with any other promotion. Any counterfeit reduplication of this card will result in prosecution to the fullest extent of the law. 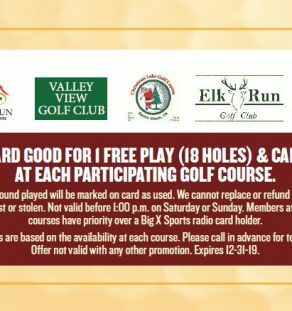 Card good for 1 free play (18 holes) & cart at Chariot Run, Valley View Golf Club, Elk Run Golf Club, New Albany Golf Course, and Christmas Lake Golf Course in Santa Clause Indiana.